Heather Leopard: Well, Hello There NEW Little Yellow Bicycle Design Team! Well, Hello There NEW Little Yellow Bicycle Design Team! Hi everyone! I am soo flippin' excited to finally be able to tell the world that I've been invited to return to the Little Yellow Bicycle Biker team for another year! Thanks so much for having me back, MyLYB! And of course this also means we're announcing the rest of the amazing new team! I am so proud to be a part of this incredible team! To celebrate, we're doing a blog hop today and giving away prizes so make sure to visit all of the blogs listed below! Heather Leopard - That's ME! A Card and a Giveaway! I created this card to welcome all the new and returning team members AND to welcome you to the NEW Little Yellow Bicycle blog. Leave me a comment for a chance to win the brand new Fern and Forest collection. Make sure to make your final stop over there because LYB is giving away even more amazing prizes. 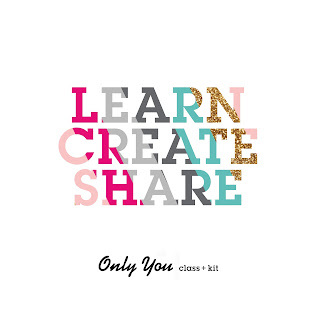 The blog hop ends on Thursday, April 4, 2013, and you don't want to miss out!!! Supplies: Little Yellow Bicycle Just Because collection (6x6 Paper Pad, Clear Cuts, Paper Crafting Kit, Stick Pins, Fresh Verse stickers, Chipboard). Before you go, April is Autism Awareness Month and tomorrow is World Autism Awareness Day. By reading this blog, you know a family who is affected by autism. I'm Lighting it Up Blue to help raise awareness for those affected by autism each and everyday throughout the year!! Please sign the petition to ask President Obama and Congress to develop and implement a comprehensive national plan to address autism! It literally took me all of two seconds to sign the petition! This request is not affiliated with Little Yellow Bicycle in any way, shape or form. This is a personal request from me. Thanks for stopping by today! Now head on over to Robbie Herring to see the beautiful card she created. 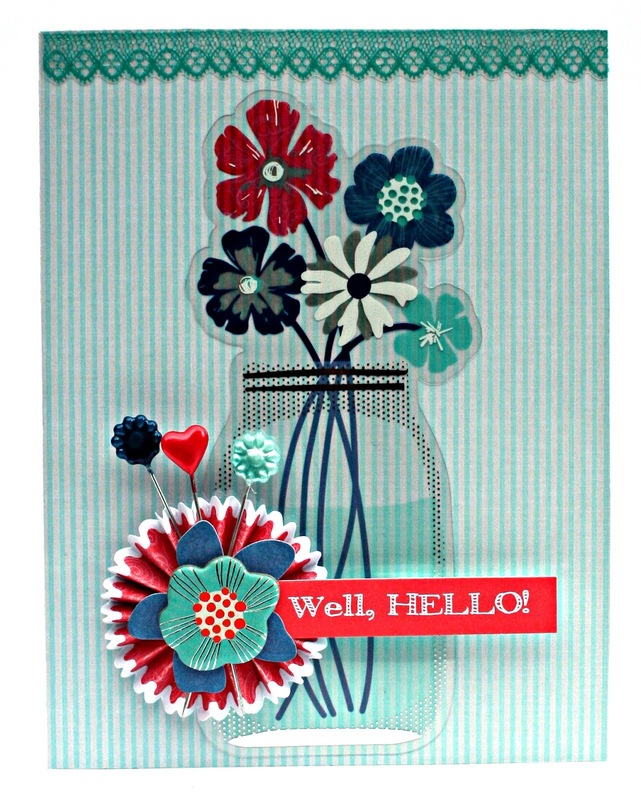 Your card is beautiful - love the flower jar! I know several families affected by autism, and hope the petition will spur some action. CONGRATS on the DT return!! That is wonderful! I loveeeeeee your card!! I am off to see the petition!! Welcome to the LYB DT Heather! Love the mason jar on your card! I am not much of a trend follower but thisone has got me in it's grasp! The flowers are so cute and your card is beautiful! Thanks for sharing! Congrat on making the LYB team!! I love your card. I have three nephews with autism. Thanks for posting snout the petition. How fun to see you popping up everywhere these days! Can't wait to see what you do with LYB. Beautiful card. Well, HELLO there too! Cute card! I love the jar sticker with the flowers and the stick pins! I have got to use mine sometime, but they look so pretty in my stash! And thanks for making me aware that this month is Autism month! Thanks for bringing attention to World Autism Awareness Day! Such an important cause! Congratulations on making the LYB team Heather! Looking forward to seeing your beautiful projects!! Love the gorgeous card you shared today! Gorgeous card. I love the layered flower on the jar. Nicely done. Beautiful card! Love the stick pins! I'm off to check out the autism petition now! Congrats on another LYB term! OMG LOVE the flower jar. the whole card is super cute! That flower mason jar is genius! Congrat's on being an LYB DT! While I was here I got so caught up in your Pinterest boards I forgot about the blog hop for a moment. You have some great boards! I plan to come back and browse your boards and your blog for a little longer! he he.. I'm now following your blog! Gorgeous! Congratulations~ And your card is beautiful. I love it! Congratulations, I look forward to your inspiration! I Really love the card and layers of the flower elements! Great jo! Love the look of this, the jar looks so real! Congrats on the DT! Great card, and love this new collection! And congrats on making the DT! So happy to have you back for another year Heather! Great card and we look forward to seeing more of your creative ideas. Such a gorgeous card! Congrats on making the team! Sweet card! I love the colors and textures! Thanks so much for highlighting the need for more support for families affected by autism! I know quite a few personally, along with my own, who face the challenges that autism brings. It's important to spread the word and increase awareness and support! Thanks!!! How exciting for you - and for us - that you're on the LYB team. Looking forward to all the amazing projects you'll be sharing with us along your journey. This card, as a 'start,' is fantastic! Thank you for sharing. Congratulations on being asked back, but with your talent it's not surprising! What a fun card! Love the little stickpins/rosette! Congrats on the new DT! Cute card. Welcome to the team! Congratulations to you! I love your project and look forward to seeing more ideas from you in the future. Congratulations. Lovely card! You chose just the right embellishments colors and patterns. Love that rosette and the stick pins. Great job! Wanted to let you know that I signed the petition. It's a very good cause. Great card. Love your use of pins! What cute pins--they add a lot to the look of the card. 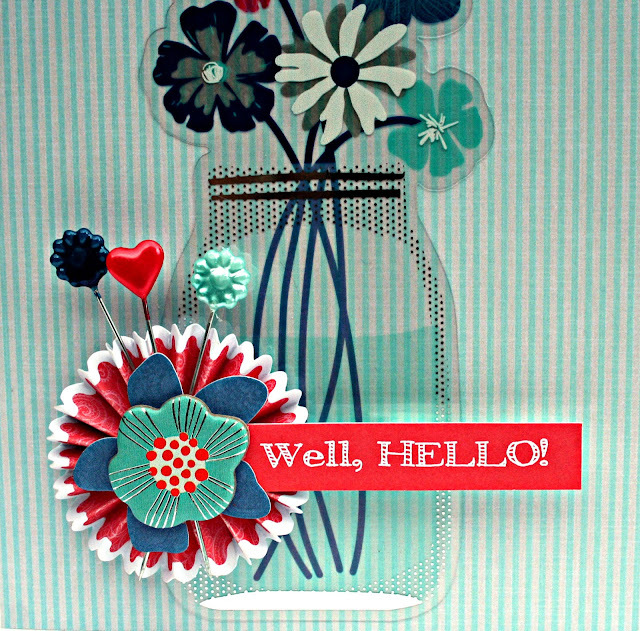 Love the jar---and the cute pins add such great detail! 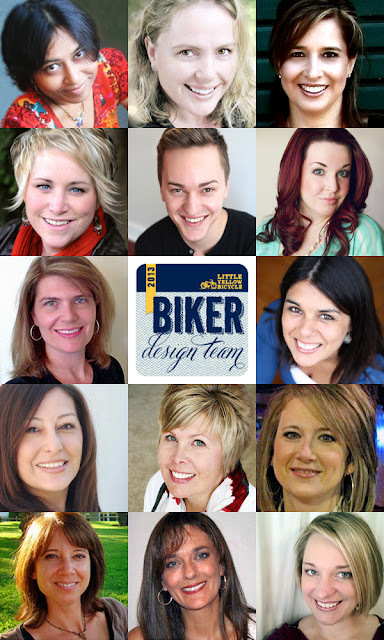 Congratulations on making the LYB design team! Pretty card, thanks for the inspiration. Very sweet card. Congrats on the DT post. This is so sweet and welcoming, love it! LOVE your card! The stick pins are super cute! I want! I love the idea of the flower pot and all of the cute flowers you used! Congrats on the team! Your card is so sweet! Perfect use of colour and the rosette totally pulls it all together! Thanks for sharing! Congrats on making the LYB team! Very sweet with the jar of flowers. Very pretty card. Those pins are adorable. Cute card- great way to use the medallion and pins! Congrats! Love the accordion flower and the stick pins. Very cute. Bless your heart, Heather, our family is affected by autism, as well. We are lighting it up blue tomorrow! Love your card, congrats on another year! Very pretty card! Love the colours and your choice of embellishments. Love the clear cuts and the stick pins...cute card! I love your flower! The layers and the pins look perfect! Congrats on making the team! Love the card. The jar really sets the flowers off. The colors are so pretty. Such a cute card! Love the jar with pretty flowers! Congrats on making the team again! Not sure if Canadians signing the petition helps, but happy to, everyone needs to end a hand and support the families who deal with autism. Super cute card, I love the pins!! Congrats on the DT and thanks a lot for the chance to win! I also signed the petition, I hope it's ok even if I'm from Italy! I love the spring look! and the heart pin. so cute! congrats! Congrats! Your card is beautiful! I love it! this card is my favorite so far. so cute! congrats on making the team! Your card is beautiful....Thank you so much for the nod to Autism. My eldest son has it and every day is a beautiful struggle. Fun card! Love the jar of flowers! CONGRATS to you my friend!! CUTE card! Such a striking card - so much to look at. I love your card and congrats on making the team!! This is so pretty! i love the flowers on here and congratulations! I am so glad that I am following you and that you are on another Design Team! Looking forward to seeing more of what you do! This card is so great - my favorite part is the stickpin trio. To die for!! LOVE it!! Congrats on becoming a design team member! The colors are wonderful and the rosette flower just pops off the page. Great card. I'm a school psychologist who deals with autism on a daily basis. Did you hear the president's announcement on brain research yesterday? We need so much more knowledge of how the brain works so we can help not only the autistic but the many others with brain disorders. Oh, thanks so much for the chance to win some LYB products....I love your card. I am off now to sign the petition! Super fun card! Thanks for having us! Love the jar and flowers. I think this would be great as a get well card too. Congratulations! I sure like your card! I love your card! Very pretty, the jar is awesome! Many congratulations for this nice work! Congrats on the LYB team. So exciting. They are lucky to have you!